You could also call my column in the July/August 2015 issue of the ABA’s Law Practice magazine, “101 Uses for an Article,” but in The True Value of Your Published Work, I discuss how sitting down to write one article can pay dividends in so many ways. The key is not to think about the time spent as writing one article for one publication, but more as writing one thing that will be repurposed in so many ways. This very blog post you are reading is yet another use of one article. Perhaps you reached this blog post through one of my social media feeds. Or maybe I handed you this very column during a pitch meeting at your law firm or during a subsequent meeting with an attorney about business development planning. Print deadlines being what they are, I just submitted my next column for Law Practice earlier this week. You won’t see it until November. I would never spill the beans on the subject matter, but suffice it to say that while rereading it, I was struck that the column could be turned into an entire CLE program…and you will likely see it as my Ethics Potpourri offering in 2016 for the Pennsylvania Bar Institute. It is a little disturbing that this idea came to me in my sleep last night (there are better things to dream about), but it occurred to me that the column could be the centerpiece of the program and the accompanying written materials. In other words, the four hours or so that I put into writing, research and editing will pay numerous dividends moving forward. You get the idea. There has never been an easier time than now to “get published.” The online and offline options are endless. If need be, the ability to self-publish means that even the worst idea in the world can see the light of day. Just go online and read the rantings of some lunatic with access to a computer–you know what I mean. But our writings, offerings and publishing venues are far better…most of the time. So, if the most recent “published works” on your attorney bio is 1996, take a few hours this weekend and fix it. No excuses. The benefits are endless. 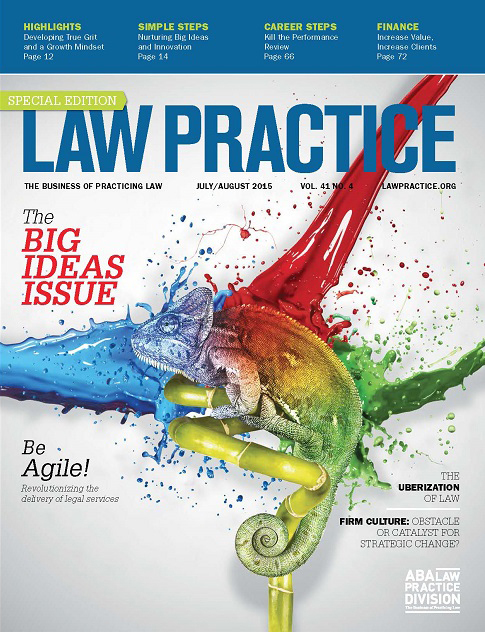 Tagged: "ABA Law Practice Magazine" and "Law Marketing Column"